'Boring' Singapore City Photo: Water from the Tap at 20 cents. Pay per use water tap for 20 cents. It flows for around 30 seconds. 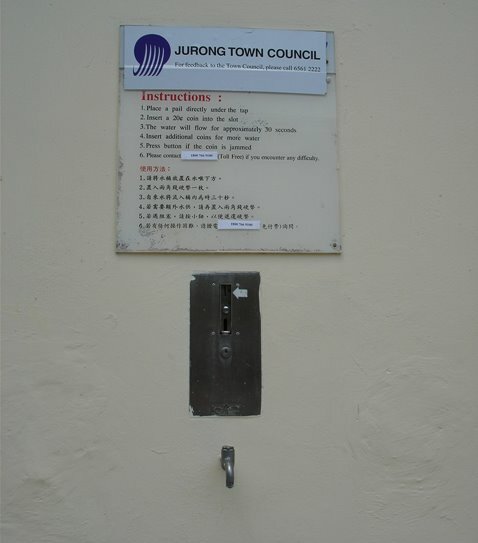 For non Singapore viewers, there are taps like this around HDB flats that allows residents to collect water for washing their cars. It is more convenient than bringing pails of water from your home say 25 floors up right to the ground floor.